4 Suspects arrested following robbery on 8/14 on the Oak Leaf bike trail just before 6 PM. Shorewood Police arrested one adult man and three juvenile boys for a robbery which occurred just before 6:00 PM on the Oak Leaf Bike Trail south of Capitol Drive on Thursday 8/14. A 37 year-old Shorewood man was riding his bike on the path when he was confronted by the suspects. The group pulled him off his bike, beat him and took his bicycle and back pack. The four were arrested after climbing a fence and walking through a back yard on the 3700 block of N. Morris Blvd. 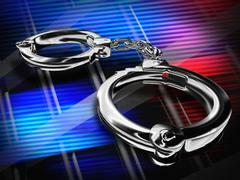 An 18 year-old man was transported to the Milwaukee County Jail. Three juveniles, ages 16, 14, and 12 were referred to Milwaukee County Children's Court. The victim received his property back and was not in need of medical attention. While the incidents like this along the bike trail are rare, police always stress vigilance and awareness. Don't ever think this can't happen to you or someone you know.